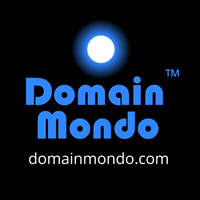 Domain Mondo's weekly internet domain news review (NR 2019-01-20) with analysis and opinion: Features • 1) EPDP Meetings After Toronto F2F, 2) .WEB IRP UPDATE, 3) ICANN & Its Failing New gTLDs, 4) Names, Domains & Trademarks: f. is for FUCT, and more, 5) ICYMI: Europe, China, India, Facebook et al, 6) Most Read. EPDP Meetings are scheduled on Tuesday, 22 Jan 2019, and Thursday, 24 Jan 2019, at 14:00 UTC (9am EST) for 3 hours each. Observers may use Adobe Connect, or audiocast via browser / app. Links: EPDP Initial Report (pdf); comments to the Initial Report; PCRT Public Comment Review Tool; GNSO Council EPDP page and updates; links to EPDP meeting transcripts and recordings are on the GNSO calendar. Other EPDP links: wiki; mail list; action items; Temp Spec; EPDP Charter (pdf); Data Elements Workbooks (pdf), packet (pdf) of small team agreements. • 20 Jan 2019 email from ICANN Staff Support Team who prepared a first draft (pdf) of the Final Report for the EPDP working group to review. • 21 Jan 2019 email from EPDP Chair: "Attached is a status of our work. The first is an overall status outline all issues [embed below]; the second is a tabular listing of the status of each Purpose and Recommendation [embed below]. Please read both docs to get a complete picture. We will follow up with guides for each of the upcoming meetings." 2. First Day (Wednesday, 16 Jan 2019, transcript pp. 37-38) : Whose Purposes? 3. Second Day (Thursday, 17 Jan 2019, transcript (pdf) pp. 2-20): discussion late Thursday afternoon (starts at 1:48:00 on the Adobe recording) involving counsel for ICANN and EPDP members about ICANN's memo (pdf) re: independent controller versus joint controller. Related: Belgium's Data Protection Authority (DPA) published guidance on issues of "controller" and "processor"--Lexology.com: "despite the DPA’s guidelines, there is no simple answer as to who qualifies as controller or processor and in many instances it will be hard to make that call." "People think stupidity is the opposite of intelligence. In fact, stupidity is the cost of intelligence operating in a complex environment. It’s almost inevitable ... seven factors that lead to stupidity ... being outside of your circle of competence, stress, rushing or urgency, fixation on an outcome, information overload, being in a group where social cohesion comes into play, and being in the presence of an 'authority.'" --Farnam Street | fs.blog. Unfortunately, all seven factors were present in Toronto at the EPDP F2F. More about the Toronto EPDP F2F on last week's News Review. (u) All IRP Panel proceedings shall be conducted on the record, and documents filed in connection with IRP Panel proceedings shall be posted on the Website, except for settlement negotiation or other proceedings that could materially and unduly harm participants if conducted publicly. The Rules of Procedure, and all Claims, petitions, and decisions shall promptly be posted on the Website when they become available. Each IRP Panel may, in its discretion, grant a party's request to keep certain information confidential, such as trade secrets, but only if such confidentiality does not materially interfere with the transparency of the IRP proceeding.--ICANN Bylaws Art. 4, Section 4.3(u). Procedures Officer's Memorandum of 4 January 2019 Conference Call No. 1 (pdf) 5 Jan 2019 embed above (reformatted from the original). ICANN's Submission Regarding the Requests by Verisign and Nu Dotco to Participate as Amicus Curiae (pdf) 16 Jan 2019, excerpt (p.1): "ICANN supports Verisign’s and NDC’s requests to participate as amicus curiae in this IRP." Declaration of Samantha Eisner (pdf) 16 Jan 2019. Exhibits 1 to 7 (pdf) 16 Jan 2019. ICANN's Response to Procedures Officer's Questions Concerning Drafting History of the Supplementary Procedures (pdf) 16 Jan 2019. For background and more info: News Review | Verisign $VRSN & New gTLD .WEB, Afilias vs ICANN. a. Gibraltar issues .eu domain guidance--chronicle.gi: "In the scenario that we exit the EU without a deal, you should check whether you continue to meet the eligibility criteria set out in Article 4(2)(b) of Regulation (EC) No 733/2002 to hold a .eu Top Level Domain." b. Domain names' prices beginning to be abusive?--lowendtalk.com. See also productforums.google.com: "I want to stop paying for a custom domain name. What will happen to my blog if I do that?" Answer: go back to the free blogspot domain, also you can disconnect the custom domain at any time. c. How to Protect Yourself From Email Tracking--eff.org. d. IP address location "we know it’s junk"--gizmodo.com: "the proper approach is to go to the internet service provider that operates the IP address and get it to tell you who was using it at the time it did the bad thing. This usually requires a subpoena or court order ..."
e. Delete All Your Apps: Los Angeles accuses Weather Channel app of deceptive data collection-- thehill.com 4 Jan 2019. [Editor's note: many mobile phone native apps have data and security issues. What we are seeing now is just the tip of the iceberg.] "Every moment of every day, mobile phone apps collect detailed location data. And it's for sale"--nytimes.com. f. is for FUCT brand name trademark--U.S. Supreme Court to hear case on ban of profane trademarks. See USPTO suspension letter and fuct.com. a. Europe votes 2019: How to unmask and fight online manipulation--11 Feb 2019 (9:30-17:15) Résidence Palace, Rue de la Loi 175, Brussels, Belgium--edps.europa.eu. b. China's internet censor approves new regulations for blockchain startups, requiring registration of users' real names, censoring posts, more, in effect Feb 15, 2019--coindesk.com. c. India's top court seeks government response on plans to snoop on citizens' computers--reuters.com. Google Reader is just the latest casualty of the war that Facebook started, seemingly accidentally: the battle to own everything. While Google did technically “own” Reader and could make some use of the huge amount of news and attention data flowing through it, it conflicted with their far more important Google+ strategy: they need everyone reading and sharing everything through Google+ so they can compete with Facebook for ad-targeting data, ad dollars, growth, and relevance.--Marco Ament, 2013 as quoted in motherboard.vice.com.